HARARE, Apr 8 2015 (IPS) - There is a new scramble for Africa, with ordinary people facing displacement by the affluent and the powerful as huge tracts of land on the continent are grabbed by a minority, rights activists here say. “I can give you an example of the Chisumbanje ethanol fuel project here in Chipinge. The project resulted in thousands of villagers being displaced to pave way for a sugar plantation so that thousands of hectares of land space could be created for the ethanol-producing project, consequently displacing poor villagers,” Dliwayo told IPS. Further up in East Africa, according to a 2011 presentation by Uganda’s Joshua Zake titled ‘Land Grabbing; silent pain for smallholder farmers in Uganda’, key characters of land grabbing in that country are also a few wealthy or powerful individuals against many vulnerable individuals or communities. Zake is Senior Programme Officer Environment and Natural Resources and Coordinator of the Uganda Forestry Working Group at Environmental Alert. According to Zake, land grabbing in Africa, particularly in Uganda, is promoted by the suspected presence of oil and other mineral resources beneath the land, such as in Uganda’s Amuru and Bulisa districts. Zake’s remarks fit well with Zimbabwe’s situation, where more than 800 families were displaced by government from Chiadzwa in Manicaland Province after the discovery of diamonds there in 2005. But land grabs in Africa may also be rampant in towns and cities, according to private land developers here. “There is high demand of land for the construction of homes in towns and cities across Africa owing to the sharp rural-to-urban migration,” Etuna Nujoma, a private land developer based in Windhoek, the Namibian capital, told IPS. Last year, irked by corrupt local authorities appearing to be dishing out land among themselves for resale, a group of informal settlement dwellers outside Namibia’s coastal holiday town of Swakopmund occupied municipal land with the intention of settling there. 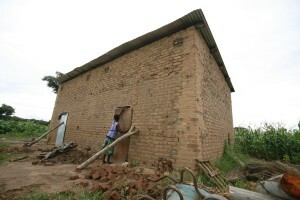 With land grabs at their peak in Zimbabwe, members of the ruling Zanu-PF party are measuring out land pieces which they then give to people who pay in the range of 10 to 20 dollars for 30 to 50 square metres, depending on the areas in which they want to obtain housing stands, according to Andrew Nyanyadzi of Zanu-PF. “We don’t need permission from local authorities for us to have access to the land which our liberation war leaders fought for. It’s our land and we are therefore selling at affordable prices to ruling party loyalists,” Nyanyadzi told IPS. Consequently, lobby groups in Zimbabwe say havoc rules supreme in the country’s towns and cities. “In Harare, land belonging to the city has been taken over by known militant groups of people with links to Zanu-PF, whom police here are even afraid to apprehend,” Precious Shumba, the director of Harare Residents Trust, told IPS. “This is exactly what happened to Harare’s urban land in Hatcliff high density area, where housing cooperatives belonging to the ruling Zanu-PF leaders have grabbed council land using their political power,” Shumba said. However, like other countries across Africa, Zimbabwe’s local authority by-laws prohibit individuals or organisations from selling land that does not legally belong to them. Meanwhile, in Mozambique, the poor are losing out to foreign investors on land rights there despite the state being the sole owner of land. Under the country’s constitution, there is no private land ownership – land and its associated resources are the property of the state – although the country’s Land Law grants private persons the right to use and benefit from the land whether or not they have a formal title. However, loopholes have emerged in the law. A survey last year by Mozambique’s National Farmers’ Union showed that there was a colonial-era style land grab there, with politically-connected companies in the former Portuguese colony seizing hundreds of thousands of hectares of farmland from peasants. 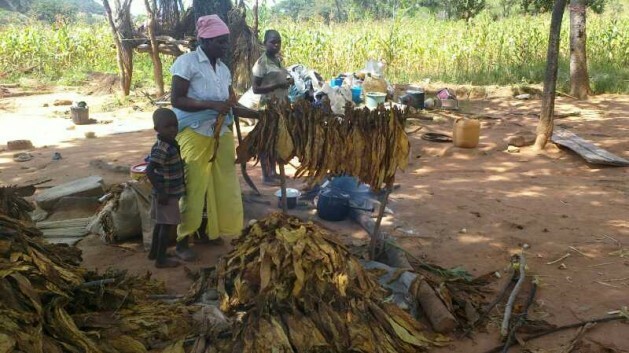 According to GRAIN, a non-profit organisation supporting small farmers and social movements in their struggles for community-controlled and biodiversity-based food systems, peasants in northern Mozambique have difficulties keeping their lands as foreign companies set up large-scale agribusinesses there. The NGO says Mozambicans are being told that these projects will bring them benefits, but this is not how Caesar Guebuza and other Mozambican peasants see it. “Agricultural investments by foreign companies have not benefitted us, but rather we have lost land to these companies investing here and we are being treated as aliens in our own land,” Guebuza told IPS. Economists blame the Mozambican government for favouring foreign investors, who now possess large swathes of state land. “The Mozambican government is known for siding with foreign investors who now occupy huge tracts of land for their own use as local peasants lose out on land, which is their birth right,” Kingston Nyakurukwa, a Zimbabwean independent economist, told IPS. With foreign investors acquiring huge tracts of land ahead of locals in Africa, ActionAid Tanzania earlier this year said that through the European Union, United States and several European countries, the European Union’s New Alliance for Food Security and Nutrition plans to invest 7.57 billion euros in agricultural development and food security across Africa. However, said Nyakurukwa, these will be business ventures that will strip Africans of their hard-earned money as they buy agricultural produce. Similarly, in Nigeria, Mozambique and Tanzania, smallholder farmers are being moved off their land, paving the way for sugarcane, rice and other export crop-growing projects backed by New Alliance money, according to ActionAid Tanzania’s findings. For Africans in Tanzania, big money might be gradually rendering them landless. “Money from investors seem to be elbowing us out of our native lands here in Tanzania as no one has been offered the choice of whether to be resettled or not as we are being forcibly offered money or land for resettlement,” Moses Malunguja, a disgruntled peasant from Tanzania, told IPS. Land grabbing is common in most African countries Zambia inclusive. In the name of development people are usually displaced and are not taken care off. Ignorance contribute to the few educated in government come up with by laws that favors them. Local authourities are victims. Policies that recognizes originality of inhabitants, maps, livelihoods of people documented. Less has been done in this so people know who owns what. Property-grabs also happen in the United States via various processes. —Property can be taken through “EMINENT DOMAIN” to supposedly be for the public good, yet may ultimately be used to allow a developer build for his or her benefit. Also, eminent domain has been used to quasi-legally allow a businessperson gain water rights to an aquifer. —Historically, properties have been DEVALUED via “white flight,” allowing real estate in communities to be bought for unreasonably low prices. —ARSON in our city neighborhoods has achieved the same results. —“FLIPPING” buildings does this too.